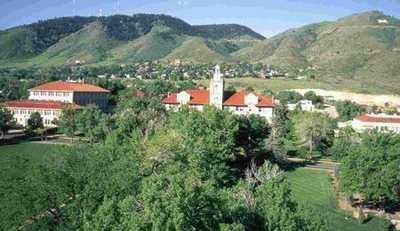 English: The Colorado School of Mines campus. This view from ENE of the school. Author The original uploader was Cperko at English Wikipedia. 2006-03-06 04:20 Cperko 400×231× (24017 bytes) The Colorado School of Mines campus.